Forest Garden Cheviot Log Cabin 5.5m x 4.0m: The Cheviot Log Cabin by Forest Garden is traditional building with a beautiful clock-tower shaped roof, guaranteed to make a wonderful addition to your garden. The 5.5m x 4.0m Log Cabin is manufactured using 44mm machined logs with chalet cut corners for a durable built. The roof is made with 19mm tongue and groove boards and the floor with 28mm boards to give additional strength and stability to the building. The Cheviot Log Cabin features an impressive 8 opening, double glazed windows and double doors to allow natural light to filter through and nicely ventilated. 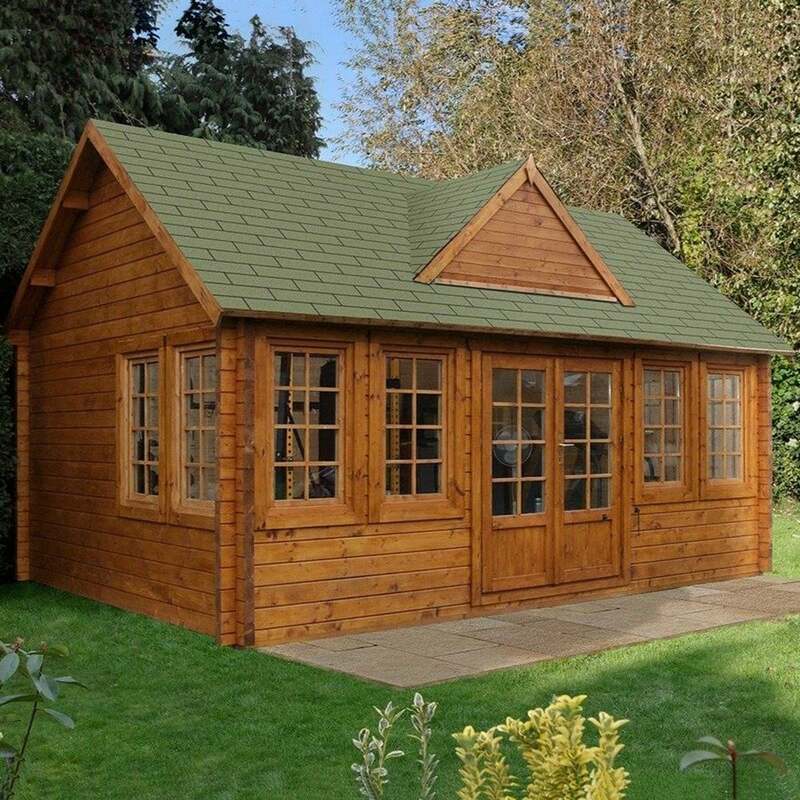 The Forest Garden Log Cabin is a versatile outdoor building and can be used as a garden office, gym area or relaxing retreat and comes with green/ grey fleck rectangular roof shingles for an attractive finish.